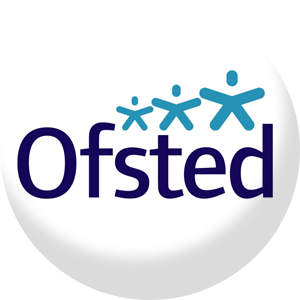 As you are aware, our Nursery was inspected by OFSTED on 20th March 2019. We are pleased to have retained our Good Outcome and received many positive comments from the OSTED Inspector. The report has now been published and can be accessed from their website. Welcome to the Spring Term at The Psalter Lane Nursery. We are delighted to announce that Mrs Shannon Little is the new Deputy Manager. We wish Miss Dower good luck for her new adventure in fostering. We also welcome Miss Chance who is joining the team in Garden Room and Miss Mahoney in Treehouse. We will be taking part in Red Nose Day this year, helping to raise money for Comic Relief. We will be doing lots of fun activities week commencing 11th March, including dressing up, cake sales etc – look out for what will be happening!!!! helping to develop their language skills. The children in Tree Tops will be reading “Dear Zoo”. They will be looking at different kinds of animals, the sounds they make and linking stories to animal songs, such as “Old MacDonald”. To celebrate World Book Day on Thursday 7th March the staff will be dressing up as characters from a book. We are inviting the children to dress up as their favourite character and bring in their favourite book to share with their friends. Books are an important part of a child’s life and sharing stories can support learning and development in all areas. In the porch we are offering a small library service where your child can borrow a book for you to share with them at home. All you need to do is encourage your child to choose a book and sign it out. You can keep it for as long as your child enjoys it, just remember to sign it back when you return it—Reading is Fun! These are an important part of your child’s development and learning. They give both nursery and home a chance to share the child’s interests, skills and experiences, as well as developing language and communication skills. Please remember to bring them into nursery so they can share them with their friends. In the porch we have some star moments and home observation forms that you can complete and return to your child’s key person. It’s an opportunity to share some of your child’s achievements, interests and what they are doing at home. These will help your child’s key person to support their learning. Can we please remind parents not to bring their cars up the cul-de-sac as there is no parking there or outside nursery, it has double yellow lines and it is an offence to park on them as well as being a danger to the children and parents coming in at nursery. The neighbours around the nursery have the right to contact the police if anyone parks across their driveway. Can we please remind parents to inform the Nursery if your child is unable to attend for any reason. The Nursery will follow up any unexplained absence with a phone call to see why your child is not at nursery. It is important for all children to attend nursery regularly and on time as it gets them into a routine ready for school. If your child receives funding then punctual time keeping and regular attendance is essential in order for this to continue. Children arriving late to Nursery can sometimes miss out on activities already started at the beginning of the session. Whilst we will always try to remain open in adverse weather conditions we may have to close the nursery at short notice or delay the start time. Notification of this will be posted as soon as possible on our Website and Facebook page. Welcome to the Summer Term at The Psalter Lane Nursery, hopefully it is going to be sunny one where we can be outside exploring the garden, so don’t forget your sun cream and hats. It is a busy term with children getting ready for school. Hopefully you have received confirmation of your child’s school places and we would be very grateful if you could let your child’s key person know which school they will be attending in September 2018. We will be completing a Transition Form for your child which will inform their new school about their learning and development in the seven areas of the Early Years Foundation Stage. Our Parent’s Evening this term will be held on Tuesday 12th June 4.00pm—6.30pm. This is an opportunity for you to come along to discuss your child’s learning and development with their Key Person and for those whose children are going to school. Please speak to your child’s key person to arrange a suitable for Parent’s Evening. We would like to ask that your children do not attend it with you! For up to date news and to see what the children have been up to in nursery! sessions may have to be paid privately! Please apply sun lotion to your child before they come to nursery. We can re-apply your child’s sun lotion to them in the afternoon if they are at nursery all day. Please label your child’s lotion and sun hats with their name. We know that it is a busy time at Nursery at the beginning and end of sessions but could we please remind parents/carers that there is NO PARKING in the cul-de-sac or on the double yellow lines around Nursery. Please help us keep all children safe at Nursery by not bringing cars in the cul-de-sac. Could you please complete a Holiday Form for any holidays you have planned so we know your child will not be in Nursery. The first 50% of the fees must be paid and cleared by Friday 11th May 2018. The remainder of the fees must be paid and cleared by Friday 6th July 2018. All Extras must be paid for within 7 days of the invoice issue date. Charges will be made for late Payments! activities! We are also learning about travel and preparing for school. switching their meal times to match those of the school day. Encourage your child to explore new environments and interact with new people Talk to your child about what they are most looking forward to at school. Let your child practise putting their new school uniform on and taking it off. Establish a good bedtime routine so your child’s not tired for school. Please take the leaflets at the bottom of the stairs with information about being ‘Ready for School’. Happy New Year and welcome to the Spring Term at The Psalter Lane Nursery. The weather is very wet, cold and windy at the moment and we would like to remind you to bring your child’s coat, hat and gloves to nursery as well as a change of shoes as they will be exploring the outdoors in both morning and afternoon sessions. Please remember to label your child’s clothes with their name. We would like to welcome back Mrs. Millis, she will be returning to The Psalter Lane Nursery after her maternity leave at the end of January 2018. Parents should have applied for their child’s school place by 15th January 2018 (if their child’s birthday is between 1st September 2013 and 31st August 2014) and if their child is starting school in September 2018. This is a big transition in a child’s life and we would like to support you and your child as much as possible. We would like to offer you an opportunity to attend a transition meeting at The Psalter Lane Nursery in February (date to be confirmed) where a teacher from Hunter’s Bar will attend to help inform you of what to expect when your child starts school and how to support them. As a nursery we will offer advice on how to help your child be “school ready”. We hope this is something that will be supportive to you. Parent’s evening will be on Tuesday 6th February – 4.00pm to 6.00pm. Please arrange a suitable time with your child’s key person. We ask for your children not to attend the Parent’s Evening as children know when you are discussing them. Chinese New Year is 16th February this year and it is the Year of the Dog. We would like you to bring in any photographs of dogs in your child’s family that they can share with their friends. The children will explore this festival through stories, music, dance, decorations. We welcome any parents that would like to share their Chinese New Year traditions with us. To celebrate World Book Day on Thursday 1st March the staff will be dressing up as characters from a book and we invite the children to dress up as their favourite character and bring their favourite book in to share with their friends. Books are an important part of a child’s life and sharing stories can support the learning and development in all areas. In the porch we are offering a small library service where your child can borrow a book for you to share with them at home. All you need to do is encourage your child to choose a book and sign it out. You can keep it for as long as your child enjoys it, just remember to sign it back when you return it – Reading is fun! These are an important part of your child’s development and learning. They give both nursery and home a chance to share the child’s interests and skills and experiences, as well as developing language and communication skills. Please remember to bring them into nursery so they can share them with their friends. In the porch we have some star moment forms that you can complete with your child for something they have achieved, done well, done for the first time, remembered; anything to celebrate your child’s development. These will be displayed in classrooms for the week and shared with the class. Teachers will also be looking for those star moments whilst at nursery to share with parents. Before Christmas we had a few incidents regarding parking outside the nursery. Can we please remind parents that there is no parking in the cul-de-sac outside of nursery, it has double yellow lines and it is an offence to park on them as well as being a danger to the parents and children coming in and out of nursery. The neighbours near the nursery have the right to contact the Police if anyone parks across or blocks their driveway. Can we please remind parents and carers that we have adopted the first day absence call procedure as set out in a new code of practice from the Council. We must now ask that all parents call nursery when your child is absent in order for us to update our attendance records. Please note: children attending under the funded learning scheme have their attendance monitored. Irregular attendance may result in funding being withdrawn. Whilst we will always try to remain open in adverse weather conditions, we may have to close the nursery at short notice or delay the start time. Notification of this will be posted as soon as possible on our Website and Facebook page. All schools and nurseries throughout the city will be affected by different weather conditions and ask you to bear in mind that the conditions around Nursery may well be different from those as you leave your home. Due to maintenance within the Nursery there will be no Holiday Club in the February Half Term. We will be taking part in Sports Relief this year to raise money to help vulnerable people in both the UK and the world’s poorest countries. We will be encouraging the children to take part in various physical and sporting activities at nursery and can be sponsored by family and friends. We hope you can support them. We would like to remind all our Parents and Carers that we are closed for the Christmas Holidays. Holiday Club is running on the 19th, 20th & 21st December. 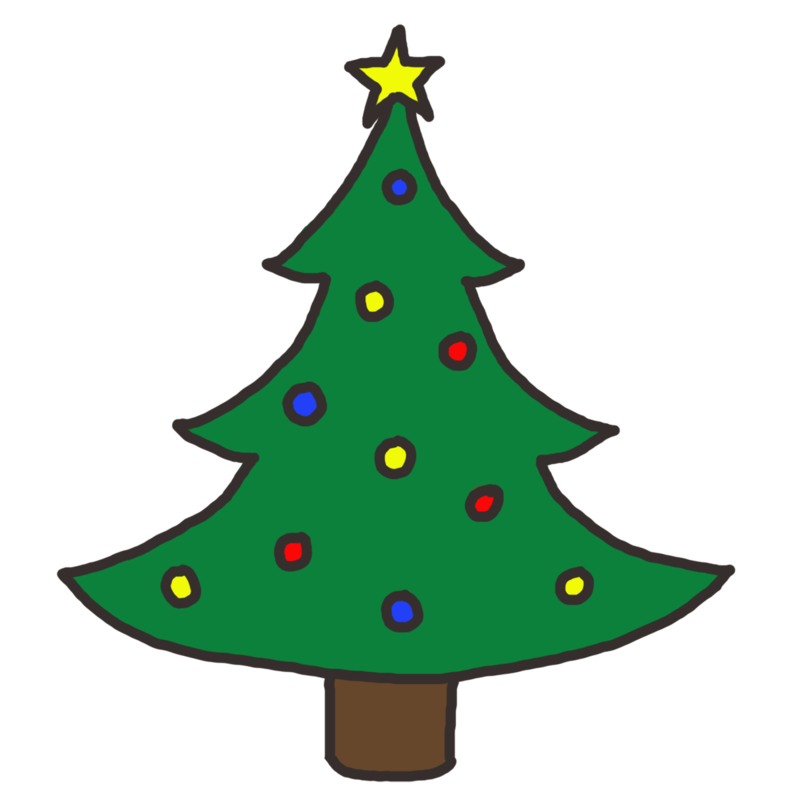 Please note that the last day to request a space for Holiday Club is Friday 1st December. Please ask a member of staff for a booking form if you are interested. Our last day is Friday 15th December returning Monday 8th January 2018. We would like to welcome Mrs Collingwood to our staff team, she is a qualified nursery practitioner who will be working with the children in Tree Tops and Oak room. It is always nice to know what the children have been up to over the holidays so we would love for them to bring in any photographs of trips, holidays, outings, special occasions or anything special they would like to share with their teachers and friends. Along with this terms invoice you will find 2 copies of the nursery fees contract. We would be very grateful if you could read and sign a copy and return it to nursery as soon as possible and retain the other copy for your records. The weather is already beginning to change and the children will be needing coats, wellies, hats and gloves very soon. Could we please remind you to label your child’s clothes and wellies clearly with their name as so many of the children have similar styles in clothing. If your child wears wellies to nursery, could we please ask you to bring a change of shoes for them to wear indoors as wellies can be uncomfortable to wear all day and it is also difficult to walk and climb stairs in them. We are currently offering 10 places for children that are eligible for the 30 hours funding. In order to secure a place or to be on the waiting list you must have obtained the eligibility code. Without this we cannot consider offering your child the 30 hour funded sessions. The code lasts for 3 months and after this time it is the parents responsibility to update it, if it is not updated or your circumstances change there is a grace period which allows your child to keep their place at nursery. This is for a short period only and if the parents have not updated their details then the child will lose the extra funded hours. All 3 and 4-year olds are entitled to the universal 15 hours. It is not the responsibility of the nursery to update and check eligibility so please apply as soon as possible as places are limited. Please note that if you wish to receive any funded learning then you need to apply for a place or make changes before the 30th NOVEMBER. This allows for any admin that needs to be done before the term finishes and to ensure there is no delay in your child starting their sessions in January. We would encourage current parents who are claiming under the scheme to reconfirm eligibility before the 30th November. We will be offering two holiday clubs this term. Please book before the 6th OCTOBER for both holiday clubs to secure a place. Please ask your child’s teacher for a form. Holiday club will only run if there is sufficient demand. We are having a coffee morning on FRIDAY 29th SEPTEMBER 9.30-11.30am at nursery. We would like to invite all our parents, carers and grandparents to come and join us for a natter and a nibble and to support the Macmillan cancer support. We are holding a gingerbread man competition and would like your children to bake and decorate a gingerbread man at home and bring it in to be judged in the coffee morning. There will be lots of prizes. It’s 50p per entry, please ask your child’s teacher for an entry form. Also at the coffee morning we will have a guess the weight of the cake competition. If anyone would like to bake anything for the coffee morning that would be gratefully appreciated. Come and join us for a natter and a nibble. Just a reminder that to ensure the safety and welfare of all the children in our care we MUST ask that all parents, carers or anyone that collects or drops off your child refrains from using their mobile phone whilst in the nursery setting. We are in the process of updating our website so watch this space. We would like permission for your children’s photographs to be shared on Facebook and the website and we will be sending a permission form out soon. Please could you return these as soon as possible. It is important for Parents/Carers to report their child’s absence to Nursery on the first day. Nursery has to follow guidelines set out by the local authority regarding the regular attendance of all children. Please report all absences on our landline number 0114 2552626. The core sessions finish at 12pm and 3.30pm and booked late collections are at 4pm and 5.30pm. Could we please remind our parents that charges will be made after these times (as stated in the fees contract) as suitable staffing arrangements must be made.